In the United States, we have a buyer-beware marketplace for products that are very often sold to older consumers, says Finke. "This is insane." Thirty percent of people 85 and older have clinical dementia, Finke says. Without fiduciary protections, Texas Tech professor Michael Finke sees a “predatory financial services industry” that feeds on the elderly as a stark reality. During a presentation on Thursday at CFA Institute’s Wealth Management 2015 conference in New Orleans – also webcast online – Finke discussed planning for retirement living and some of the financial implications of aging. 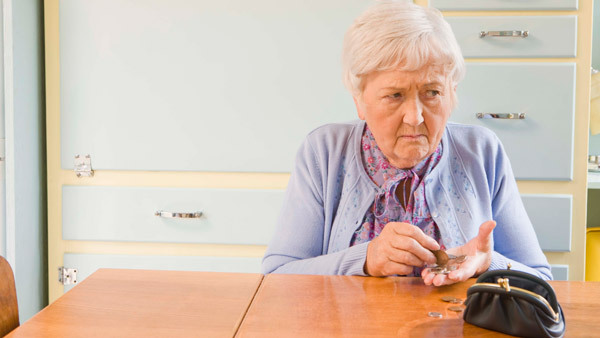 “In the United States, we have a buyer-beware marketplace for products that are very often sold to older consumers,” said Finke, professor and director of retirement planning and living in the personal financial planning department at Texas Tech University and a contributing editor to Research magazine, which is affiliated with ThinkAdvisor. Finke called for change, speaking passionately to the crowd at the chartered financial analyst gathering. Finke believes the market would be better served “by having some sort of fiduciary protections,” especially for older consumers. “I don’t think you can have a buyer beware marketplace and end up with good outcomes, especially when people are in later life, you know that they are going to experience cognitive limitations,” Finke said. Finke presented some startling facts during his presentation regarding dementia and cognitive impairment among retirees — and called on advisors to make planning for cognitive and physical changes in old age a part of retirement planning. While the rate of dementia among 60- to 64-year-olds is 0.8%, Finke points to data that shows that rate doubles every five years. The rate of dementia among 80- to 84-year-olds increases to 12.8% and among the 85-and-older crowd, 30% are experiencing clinical dementia. “By the time we hit age 90 78% are either experiencing dementia or some kind of serious cognitive impairment,” Finke stated. Finke also pointed to another study that found that 60% of those that are experiencing clinical dementia are still managing their own money. Only 30% of those experiencing clinical dementia reported delegating their money management to someone else. This is why Finke sees the need to include congnitive impairment planning as part of the retirement planning process. –Have you read Finke’s The Evolving Idea of Retirement in the March issue of Research magazine on ThinkAdvisor?